Late one night after the children were tucked in bed, I pulled out the tin of homemade chocolate chip cookies, fresh from that morning. The first crunchy bite thrilled my taste buds as the chocolate bits melted in my mouth. For a repeat sensation, I ate another. Then another. And another. I finished the whole batch without any help from my husband. Disgusted with myself, I ripped off a strip of masking tape and hung yet another Bible verse about gluttony in an obvious place on the pantry shelf. Below the verse, I scribbled my vow to never eat sugar again. Then, feeling sick, I crawled into bed, glad I’d never do that again. The next morning, when my blood sugar had dropped to absolute zero and life with a houseful of little people was stressful again, I found myself gravitating toward the freezer, where I’d hidden a carton of Ben & Jerry’s ice cream behind several bags of frozen vegetables. I avoided eye-contact with the open pantry door, where I knew my convictions of the night before would haunt me. Once again, I gave in to my love of sugar. Have you ever fought this battle? Did-or do-you feel like a vile sinner, guilty, yet trapped? I’ve been so desperate for sugar at times that I’ve eaten the little colored sprinkles used to decorate cookies when all other resources were exhausted! Yes, there were times when willpower sustained me, but they never lasted long enough. I even managed once to not eat sugar for an entire year. But when Christmas came, I just couldn’t endure missing our family’s yuletide cookie favorites. I only ate three-at first. Then I fell hard into the sugar trap, gaining back almost 20 pounds I’d lost during the previous year. Oh, how I hated me again! Meanwhile, my arthritic knees, painful since my 30’s, starting hurting so badly I often limped. Itchy rashes broke out regularly on my torso. Eye floaters sent me to a retina specialist. And I found myself having to clear my throat like a tobacco-chewing old lady because of post nasal drip. When a friend suggested I check out the possibility I might have a yeast problem, her counsel turned out to be some of the most life changing advice I ever took. After learning about yeast-or candida, its scientific name-I discovered that, like most people in modern civilizations, I was inundated with yeast. 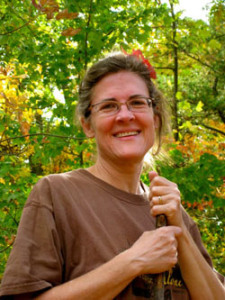 Bee Wilder, a former candida sufferer who healed herself using nutrient-dense foods as promoted by the Weston A. 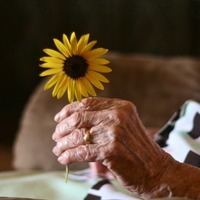 Price Foundation, has assembled an exhaustive website to help fellow sufferers: http://www.healingnaturallybybee.com. On her site, you’ll find a thorough description of candida and the astounding range of symptoms and diseases it causes-from allergies to cancer and most everything in between. 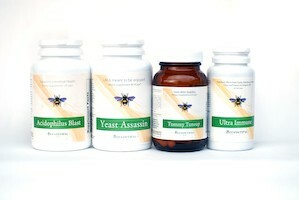 Bee also runs a yahoo support group for her anti-candida diet, at http://health.groups.yahoo.com/group/candidasupport. Simply put, candida is an invasive form of yeast that, when given opportunity, will practically take over the body. It grows root-like fingers through the intestines, into the bloodstream, and on into organs and tissues. Everyone has some candida-along with strep, E coli, and other bad guys-living in their gut. However, these foes are supposed to be kept in check by a proliferation of good bacteria, like the ones that make yogurt so famous. The reason most folks have a yeast problem today is because candida is an opportunist. Practically from birth we’ve taken antibiotics, which kill not only the germ causing sickness but the friendly bacteria in the intestines as well. On top of that, immunizations may also attack our good bacteria. Most of us have eaten our share of processed and sugary foods. Even if your mom didn’t let you eat many sweets, she probably gave you crackers and breakfast cereal, which eventually break down into sugars. Sugar is yeast’s favorite food, and when yeast takes over, it demands, through your body’s cravings, more and more sugar to satisfy its lust for the stuff . That means my-or your-lack of willpower is not the only reason it’s so hard to resist going back for more cookies and ice cream. Yeast is screaming for a meal! But wait-there’s more. Environmental toxins assault friendly bacteria and give yeast a leg up. Chlorine and flouride, both added to most city water supplies, kill the good guys. Out gassing from plywoodand carpets that contain formaldehyde is also a villain in our own homes, as is any of countless petroleum and cleaning products we’re exposed to almost daily. Even if your life feels too overwhelming to take on a strict diet change as outlined by Bee Wilder, you’ll learn invaluable information on her website to tuck away for a time when life might ease up a bit. 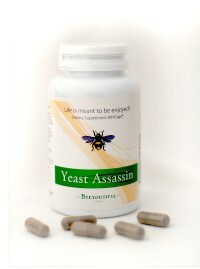 Meanwhile, there’s relief available in one of Beeyoutiful’s best-sellers, Yeast Assassin. I love the name, because once I discovered the source of many of my ailments and cravings, I couldn’t wait to kill it! Yeast Assassin is a potent combination of herbs known to be mortal enemies of candida: caprylic acid, pau d’arco, black walnut, and oregano oil. Caprylic acid is found naturally in coconut oil, palm oil, butter fat, and human breast milk. It has anti-fungal as well as some anti-bacterial and anti-viral properties. Pau d’arco is bark from a tropical tree known to be resistant to fungus growth. Pau d’arco has been used since the days of the Incas to build immunity. Black walnut hulls, which are especially high in organic iodine, are another known ally in the candida war (and in expelling parasites!). Oregano oil (my favorite all-purpose essential oil-also sold separately by Beeyoutiful) rounds out this awesome foursome with its anti-fungal, anti-viral, anti-bacterial, and anti-parasitic powers. If you qualify even only slightly on Dr. Crook’s candida questionnaireas having a yeast problem, Yeast Assassin is a great, do-able starting point for you to fight back. Take two capsules with breakfast and two with supper. Summon your willpower to fi ll up with vegetables and meats while slowing your consumption of fruits, honey, and even dairy products. Skip desserts and other junk foods. Learn from Sally Fallon’s Nourishing Traditions cookbook to make lacto-fermented sauerkraut along with other fermented vegetables and dairy products such as kefir (fermented foods greatly diminish sugar cravings). If you can hang in there for a week while Yeast Assassin hammers at the candida in your system, you’ll start to notice it’s not so hard to avoid “bad” foods and that you will naturally start to prefer healthier alternatives. During yeast cleansing, it’s important that you not become constipated since the dead enemy is eliminated through the bowels. If irregularity tends to be a problem for you, consider taking Beeyoutiful’s Aloe Vera gel caps which safely and comfortably lubricate the intestines for easier eliminations. An occasional warm water enema provides another helpful, immediate relief. And in the enema water, dissolve a couple of probiotic capsules to help repopulate your lower digestive tract with good bacteria. A part of this assassination plot is to replace the decimated good bacteria in your digestive tract. Take a probiotic with many strains of living, beneficial bacteria. 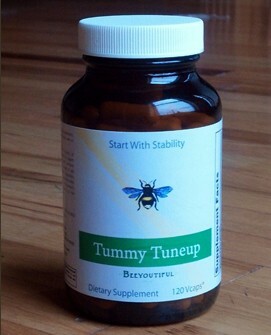 Beeyoutiful’s Tummy Tuneup fits the bill perfectly with its blend of eight strains to recolonize your intestines. 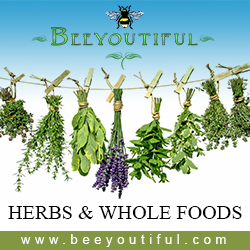 Beeyoutiful’s Anti-Yeast Pack is a cost-efficient way to get all of the above plus Ultra Immune, a powerful blend of allicin from garlic, elderberry, olive leaf, and oil of oregano, to boost immunities. It provides back-up protection as your body detoxes from yeast overgrowth. If, however, you are pregnant or nursing-my state-of-being for almost 20 years-you should not take Yeast Assassin because many of the ingredients are known to contribute to miscarriage. That’s why Beeyoutiful also offers the Pregnancy Anti-Yeast Pack. While it does not include some of the heaviest assault weapons against candida, it offers these excellent second-bests: Tummy Tuneup and Acidophilus Blast, probiotics to crowd out the yeast; Odorless Garlic, known as being anti-viral, anti-fungal, and anti-bacterial; and Colostrum Transfer Factor, which increases overall immunity and assists in maintaining a healthy bacterial response. This great team, together with your own make-sure-my-baby’s-healthy willpower, and eating lacto-fermented foods, will serve any pregnant or nursing mother well until she can execute the full-blown Yeast Assassin program. At long last, there are no more vows taped to my pantry shelves. Thanks to a successful assassination attempt against yeast, I happily choose vegetables and fruits over sweets and chips-clear evidence that miracles DO happen! As a bonus, I’ve lost my excess weight, most of the pain in my knees is gone, and no more rashes, either! I credit Yeast Assassin and its accompanying supplements as the helping hands I prayed for so many, many nights after a sugarfest. May I suggest you try it, too? And start your own uprising against yeast. Breaking news! Just at catalog press-time, Beeyoutiful, ever mindful of pregnant or could-be-pregnant-any-day mommies, added Yeast Assassin Lite to their yeast-cleansing arsenal! It is made of caprylic acid without the potentially harmful-in-pregnancy extra ingredients found in regular Yeast Assassin. Many alternative health care providers solely treat yeast overgrowth with high doses of caprylic acid, because of its effectiveness. Pregnant and nursing mothers struggling in their battle against yeast should consider using this resource as well as the above recommendations. Recession, unemployment, rising food prices, and stock market crashes are a few of the depressing subjects you hear about daily. While political and financial leaders do their best to revive our beaten down economy and begin the long climb out of the hole we’ve dug for ourselves, one of the most controversial issues lately has been government bailouts of, first, financial institutions and now the auto industry. The cost is approaching the trillion-dollar mark. While I don’t fancy myself a true expert on economics or politics, neither do I believe the actions taken by our leaders will provide a long-term remedy for this economic crisis. The planned “fixes” just don’t address underlying causes of our financial turmoil. As a result, while some policies may reduce the pain of the immediate crisis, treating symptoms will only prolong the malady, just as addressing symptoms of a disease only prolongs its effects on the body. Our economic bleeding is similar to the healthcare problems we face. Profuse amounts of money are spent on medical care each year-and it’s not doing any good. Chances are you or someone you know are on multiple medications for a number of illnesses. Many people take 5 to 10 different medications every day, and many are in and out of the hospital several times a year. Most Americans have come to think of this as a normal part of health maintenance, and that wrong-headed thinking is perhaps the greatest crisis of all. The truth is we are meant to be healthy. While we call our medical services “healthcare,” what it really amounts to is sick-care-trying to fix people when they’re broken. To be sure, there are plenty of modern medical procedures that save people’s lives, and for those we should be grateful. Our emergency care, for instance, is unsurpassed and can hardly be applauded loudly enough. 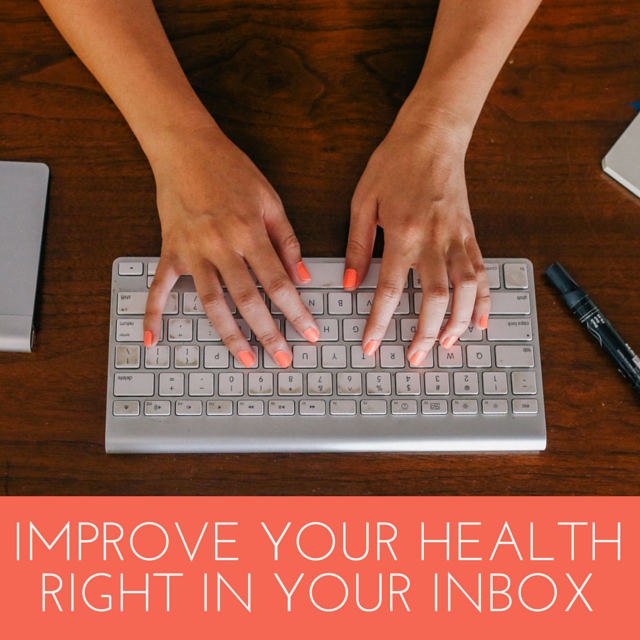 But when it comes to dealing with chronic conditions and illnesses, major improvements are essential. The paradigm for sick-care typically revolves around diagnosis and treatment of disease symptoms. This allopathic approach generally assumes that the correct illness-fighting intervention is to reduce symptoms of the disease-a disease that is often said to be brought about by a failure of genes to properly regulate and control the body. If the symptoms are reduced, the treatment is considered a success. Examples include therapies such as taking medication to eliminate a headache or to lower blood pressure, or surgically removing a dysfunctional gallbladder. With these procedures, symptoms and pain are decreased, but the underlying cause of the problems is ignored. The regimen turns a blind eye to the vital question of why a patient is sick. Sadly, the ultimate consequence of this approach is that whether or not the patient actually becomes healthier is totally disregarded. Most of the billions spent every year on sick-care are used up treating chronic conditions such as heart disease, cancer, diabetes, and obesity. The United States expends more money than any other country doctoring these illnesses. We have the greatest number of hospitals, doctors, and nurses in the world, and our medical services inventory grows every year. Although we make up only about 4% of the world’s population, we consume more than 60% of the world’s pharmaceuticals. So with all of the time, effort, and money put into healthcare, we should be the healthiest folks around, right? But no-the World Health Organization ranks the United States as only the 37th “healthiest” county in the world. And the sick-care model of medicine is to blame. A key term in medical biology, homeostasis refers to “optimal functioning of an internal environment”- everything works the way it is designed to. For the human body, homeostasis occurs when all of our cells are functioning at an optimal level. That’s when sickness and disease are absent. A true healthcare model, then, should have as its goal to move the body towards homeostasis. That means we must also figure out why the body was moving away from homeostasis in the first place. One of the more difficult aspects of this paradigm shift is what it requires of each of us as individuals. As it is, sick-care is not just the fault of care providers. Users buy into it because it’s easier to “let someone else take care of me” than to take personal responsibility for being healthy. Many people assume disease and sickness are just a part of life, often stemming from genes passed down from their parents. Patients tell me all the time that the reason for their pain, arthritis, high blood pressure, headaches, or whatever, is because their parents had the same problem. While genes do play a role in how health is expressed, they do not tell the whole story. More and more studies show that genes are greatly influenced by our environment. Yes, your mom may have passed down a gene that can lead to a defect in heart function, but just because the gene is there does not mean it has to be expressed. Environment can turn genes on and off. This is why lifestyle is so crucial in true health and wellness care. Lifestyle changes over the past 100 years have generally been for the worse. Our distant ancestors lacked cars, refrigerators, grocery stores, vaccines, blood pressure medications, hospitals, and computers. Yet they were surprisingly healthy when compared to the chronic conditions we face today. Heart disease, diabetes, and cancers were unknown to our ancient cousins except in rare cases. Genetic research has demonstrated that we share the same genes as our ancestors, yet our health rates continue to decline every year. Clearly, the genes haven’t changed-environment and lifestyle have. Our forebears had no choice but to eat organic foods, drink water free of modern-day pollutants, breathe smog-free air, and engage in significant, daily physical activity. By contrast, most Americans are lucky if they can squeeze even one of these healthful patterns into their lives. Healthcare would acknowledge that well being is a natural state. Our bodies were designed to be self-sustaining. Think about it: when you cut your finger and cover it, does the bandage do the healing? No, of course not. Your body heals itself. We are all born with an inner intelligence governing our bodily functions and health. Our bodies don’t make mistakes. Every action and reaction on the inside has a specific purpose-to maintain homeostasis and good health. Succumbing to an illness is not a mistake or a genetic problem. Diseases are simply the body’s way of adapting to stress in our environment. Given the right environment and lifestyle, we adapt and heal from the inside out. But when the environment is fraught with chronic stress and bad lifestyle choices, our body’s ability to adapt diminishes, and sickness and disease progress. Most stresses on the body come in the form of toxicities and deficiencies. When you face most any health problem, chances are you are either toxic in something bad, or deficient in something your body needs to thrive. The bad stuff includes pollutants, junk food, contaminated water, and heavy metals. What’s worse, people are often deficient in vital nutrients, minerals, essential fats, helpful bacteria in our intestines, and exercise. Toxicity and deficiency create sickness and pull us away from homeostasis. For good health it’s necessary to create an environment and lifestyle that benefit your genetic makeup and create health naturally. Adding to the problem that we are on our own in choosing this path, insurance companies don’t pay for such changes. But if you hope to be-and stay-genuinely healthy, you can’t afford to wait around for insurance companies, the government, and physicians to address our needs and for it to cost nothing. And whether our country eventually adopts government-sponsored “universal healthcare” or continues with more free market options, the health of our nation will continue to decline. No matter what treatment delivery system we use, the “answer” will be more drugs, more surgeries, and less well-being for patients. I do believe there’s hope for a cultural change toward a healthy healthcare system. People will eventually realize our current system is bankrupt-in all ways. We must encourage our leaders, scientists, politicians, and physicians to shift healthcare in the direction of true health and well-being, rather than focusing on who is going to pay for our badly broken sick-care model. And personally, you can choose every day to create a better environment for yourself. God designed your body to heal from the inside out as long as there body to do its job is no interference. Remove toxic stresses from your life, and allow the body to do its job. The health you salvage just may be your own. Our doctor was mystified twice over. First because he identified the painful rash on my ten-year-old daughter’s chest and neck as shingles-something only old folks are supposed to get. And second, the usually tenacious condition was already going away! “Whatever you’ve been putting on her, keep it up,” he ordered. I’d been slathering my daughter with tea tree oilfor a week. She healed quickly and bears only the slightest scars today. More recently, a pre-teen foster daughter we hosted for six months routinely suffered emotional meltdowns because of a traumatic childhood. When I blended lavender with other essential oils for her to inhale during an “outbreak,” her mood calmed quickly. Head lice plagued our friends with six children. Fearing the carcinogenic properties of over-the-counter head lice medicines, they treated everyone’s hair with tea tree oil. The family was quickly, and safely, lice-free. Testimonies like these offer just a few reasons why I’ve kept essential oils in our medicine cabinet for more than ten years. Produced by the distilling of selected plants, pure essential oils offer potent healing assistance to the body and mind. Essential oils go a step further than regular herbs because they absorb directly into the bloodstream and trigger systems in the brain for emotional well-being. Perhaps you’ve heard of aromatherapy. While it’s become something of a buzzword, not everything that claims to have aromatherapy qualities actually does what only essential oils can. “Aromatherapy” lotions and candles sold next to pickled eggs and caffeine pills at gas station convenience stores seriously misuse the term just to make a sale. So do many air fresheners, cleaning products, and facial tissues. Most, if not all, of these products use chemical-based, synthetic oils which do not provide health benefits-they can actually be harmful. True aromatherapy is provided only by pure essential oils. Although your nose may not readily detect the difference, when exposed to the real thing, your brain’s limbic system gears up to help you concentrate better, relax, or perk up your mood, depending on the particular oils you use. In the 14th century, during the Black Death plague, workers in the perfume industry showed a remarkable tendency not to get sick. They were in constant contact with essential oils, the primary source for scents at the time. Essential oils still do the job today. Rather than dosing your child with cough and cold medicines, fill a medium-size bowl with boiling water and add a couple of drops of tea tree or eucalyptus oil. Let him/her breathe the healing vapors deep into the lungs. Dilute the oils with a carrier like olive or sweet almond oil. Then rub a sick person’s chest, neck, and soles of their feet for an antibiotic effect against germs and viruses. Add a drop of peppermint oil to a glass of water, and drink it to soothe indigestion and nausea. A drop of oregano oil in water swished in the mouth and swallowed helps heal mouth ulcers and sore throats. Many times, essential oils can be incorporated into things you do anyway, like bathing and washing your hair. 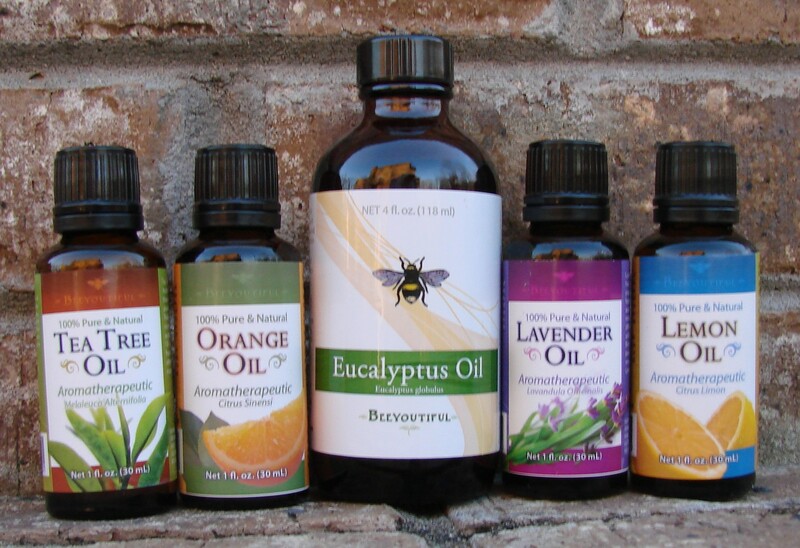 Oils make your home smell fresh the healthy way instead of with chemicals. And you can massage sore muscles and tired backs with health-giving oils rather than cheap lotions. Or add essential oils to your natural cleaning and laundry products to give not only a nice smell, but also antibacterial and anti-fungal (mold!) protection. One of the easiest and most effective ways to get the full advantage of aromatherapy is to use a diffuser. While you can always put a drop of essential oil on a tissue, cotton ball or even your pillowcase, a diffuser distributes oils through the air so the whole room is purified and every breath brings healing. Beeyoutiful now carries one of the best diffusers available. It works by nebulizing (breaking the oils into separate molecules) before dispersing them into the room. These smaller molecules are more readily absorbed by the lungs, making this the most therapeutic of the diffuser-styles. Essential oils can be combined to create appealing and complex aromas for specific therapeutic uses. Blending with a targeted purpose is called essential oil synergy. Working together, oils heal more effectively than on their own. Tea tree and lavender oil are often paired, and there are many specific blend recipes available on the internet. Since there are more than a hundred different essential oils, sorting through the nearly countless possibilities for using them can be overwhelming. 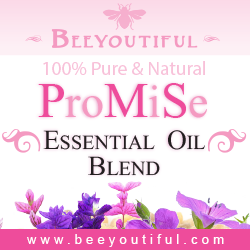 To help with the selection, Beeyoutiful carries several champions of the essential oil line-up. Eucalyptus, known for opening up bronchial tubes and clearing stuffy noses, has been part of the Beeyoutiful product line almost since the company began. And this fall, four splendid, highly versatile oils have joined the team: lavender, oregano, peppermint, and tea tree oil. To help you maximize your aromatherapy experience, I’ve noted below a quick rundown of what to expect from each. Lavender-think “fresh.” The purple, gently scented flowers grown in most herb gardens have been used throughout history as a natural antiseptic, antibiotic, anti-depressant, sedative, and de-toxifier. The name comes from the Latin word “lavare”, which means “to wash.” The fresh, clean fragrance is a reminder of lavender’s internal and emotional cleansing attributes. Lavender promotes healing and scar prevention after injury or burns. You’ll want to avoid the fake lavender fragrance now added to many baby skin care products. Use the real thing, and you’ll see your colicky, stressed-out baby relax. While you’re at it, try some on yourself after a rough day of mommy-ing. A lavender massage not only relieves sore muscles and arthritis pain but also menstrual cramps and discomfort from bladder infections. Skin problems like acne, eczema, wrinkles, and sunburn are soothed by lavender. Oregano-the strong man. Used by folks as far back as the ancient Greeks, oregano is a potent antiviral, antibacterial, anti-fungal, and anti-parasitic oil, a warrior against germs, Candida, and parasites which contribute to skin infections and digestive problems. Oregano strengthens the immune system. It’s safe for internal use and can zap a sore throat (including strep) in short order. Just gargle and swallow a few times a day for three days. Even the antibiotic-resistant staph. infection MRSA can be treated with oregano oil. Peppermint-think “perky.” Besides the anti-nausea benefit noted earlier, cool, refreshing peppermint stimulates the mind, increasing mental agility and improving focus. Try peppermint aromatherapy when you’re working on taxes or some other tough project requiring concentration. If you’re feeling down and overwhelmed, a dab of this oil perks up your limbic system to keep you plugging away. Peppermint oil cools the skin, reducing redness and calming irritation and itchiness. Inside, it eases spastic colon and boosts the digestive system. Peppermint breaks up congestion pain from migraines, headaches, sinus, and chest congestion, too. Tea tree oil-the jack-of-all-trades. This one works for most every sick bug and cleaning need you have. Just don’t swallow it. Made from a tree that grows only on the east coast of Australia, tea tree oil is antiviral, antibacterial, and anti-fungal. Use it for first-aid on cuts, scrapes, and burns-and as a wart remover. Tea tree oil helps control problems as diverse as dandruff, head lice, vaginal yeast infections, jock itch, athlete’s foot, cold sores, and ringworm. And did I mention shingles-and its cousin, chicken pox? Inhaling tea tree oil vapors helps colds and bronchial distress. What’s more, bugs hate tea tree oil, so it makes a great repellent and treatment for insect bites. It even relieves itching caused by poison ivy. Add tea tree oil to your laundry to kill dust mites and for disinfection after sickness. For a great way to avoid toxic cleaners, use tea tree oil mixed with vinegar, borax, and water to get the same cleansing results, and add it straight in your dishwasher or garbage disposal. The bottom line? For more healing, cleansing, and mind-soothing results than you can count, these oils are essential. “How much water are you drinking each day?” asked my health care professional. You see, I am expecting our second child and have placed myself in the hands of a dear lady for my own health as well as that of my unborn baby. With test results in her hand showing that I was not drinking enough water I had to fess up. “Probably not enough,” I replied sheepishly. Looking me square in the eyes she said, “I want you to drink at least three quarts a day. Get three, one quart jars and fill them up each morning. Then make sure you drink them each day.” Although she said it very nicely, I knew it was more of a prescription than a request. While I know water is important, she had me wondering why it is so necessary that she would practically order me to drink sufficiently each day. So I did some research, and here is what I found. Did you know that nearly three-quarters of your body is made up of water? It infuses every cell and tissue. Each day our body can use 64 ounces of water just for basic body functions such as regulating temperature, aiding in digestion, keeping skin hydrated, and giving us energy. Water is the foundation of our blood. It helps maintain strong muscles, lubricates joints, hydrates organs, flushes toxins, and much more. Without water, your body simply cannot function. Water is the most common and important compound on earth and is made of two parts hydrogen and one part oxygen-hence the familiar chemical formula H2O. Studies confirm numerous health benefits of water. Because our bodies are made up of so much water and because it is responsible for almost all the vital processes that occur, it is important to replace, replenish and rehydrate each day. As we grow older it becomes more important to pay attention to water intake. Mature adults retain less cellular water. A major contributor to this loss of water is the lack of sensitivity to the body’s cues for thirst. For instance, we often misinterpret the feeling of hunger. Sometimes we think we are hungry when our bodies are actually crying out for water. Try this to see if you confuse your signals: next time you crave a snack, take a drink of water and see if you remain hungry. Your body may be needing water, not food, especially if it is not meal time yet. Because fruit is largely made up of water, it is often a perfect choice for a snack if you still think you are hungry. Studies have shown that most of us require 6 to 10 glasses of water a day for proper hydration. The more you drink, the more you help your body cleanse itself of toxins absorbed from the environment. Since some of these toxins can show up in skin, drinking more water may rejuvenate your skin and help ward off some types of facial acne. Is your hair dull and lacking the luster it used to have? Drinking enough water each day may help bring that shine back to your hair. Because of the rapid cell growth and reproduction that takes place when moms are expecting, water intake needs to increase for the demands of the growing baby. In fact, Dr. F. Batmanghelidj in his book You’re Not Sick, You’re Thirsty, believes that morning sickness is a thirst signal for both the mom and the unborn baby. Increased water intake is also needed during lactation as we provide both water and food for our babies. What if you’re “just not a water drinker?” Can other fluids take its place? In a word, no. Other fluids cannot replace the results we can get from water. Juice contains water, but your body will get more nutrients from eating the actual fruits. Milk provides needed calcium and Vitamin D but is still not a replacement for water. In fact, drinking too much milk can have a constipating effect-the opposite of what water helps your digestive tract to do. What about coffee, tea, and sodas? Though they have a water base, they are actually diuretics and will dehydrate you. For every 6 ounces of caffeinated or alcoholic drink a person consumes it requires an additional 10 to 12 ounces of water to re-hydrate. Are other health benefits obtained from drinking water? In days past, our parents and grandparents recognized the importance of water, and today, we hear the message from nutritionists and health experts. They confirm that the health benefits of water are numerous. Yet our most common health problem is dehydration. Dehydration occurs when the body starts drawing water from its own tissues, cells, and skin to replenish itself. Although a very serious condition, it can be avoided simply by drinking the proper amount of water. Since water aids in flushing toxins from our bodies, it is helpful for proper functioning of our kidneys and liver, whose job is to capture and cleanse our bodies of those toxins. Water has also been shown to possibly reduce heartburn. Heartburn signals a water shortage in the upper gastrointestinal tract. The use of antacids or other medications does not correct the dehydration so the body continues to suffer from a lack of water. Over time, these corrective medications will cause other problems that could have been avoided by drinking a glass of water. Water can help reduce the pain of arthritis and lower back pain which are also possible signs of a water deficiency. Lack of water in the spine, spinal column, and discs is very painful. The discs are water cushions that support the weight of the body. Intake of water and small amounts of salt have been shown to help reduce some of the pain of arthritis and lower back problems. Colitis can signal water shortage as well. It is associated with constipation and dehydration as the body squeezes every last drop of water from the excrement. This extraction in turn causes pain as the body tries to eliminate non-lubricated feces. This can potentially lead to diverticulitis, hemorrhoids, polyps, and other more serious gastrointestinal problems. But can you drink too much water? Surprisingly, it is indeed possible, though rare. The condition is called Water Intoxication and is caused by drinking too much too fast. The recommended daily water intake is 8 to 12, 8 ounce glasses spaced throughout the day. When you drink too much water-a gallon or more in an hour- Water Intoxication can set in. The debilitating results range from swelling of blood vessels to brain swelling and kidney overload. Water Intoxication occurs when too much water enters the body’s cells. The tissues swell with excess fluid. As the over abundance of water accumulates the normal saline serum in your body is diluted. Your body tries to compensate for this by sending in more of the saline solution to help balance the excess water. While your body does its best to compensate for the excess water, sometimes it cannot. For already saturated cells, too much water can be like drowning. Symptoms of Water Intoxication include irregular heartbeat, fluid in the lungs, and fluttering eyelids. The swelling of cells can put pressure on the brain and nerves which can cause seizures, coma and even death. A complete recuperation can occur if water is restricted and additional salt and electrolytes are administered. But the problem lies not in how much you drink, so much as in how fast you drink it. Your kidneys can process 15 liters (roughly 4 gallons) of water a day, so you are unlikely to experience Water Intoxication as long as you drink over a period of time. Most adults need about three quarts a day. You might need to drink more in warm weather to compensate for perspiration or if you have been exercising or are on certain medications. In my case, though-and likely some of you other busy moms-we suffer from not drinking enough water rather than intoxication. The quality of water also matters. If you live in the city, your water has been cleaned and infused with many different things which may include chlorine and fluoride. If you live in the country, you may have well water that should be tested on a regular basis for impurities such as sulfur. No matter where you live, it is a good idea to invest in some form of water purification system to insure that you and your family have the purest water possible. Incidentally, my last checkup showed that my water intake had properly increased! How about you? Do you drink enough? Make sure you get plenty of wonderful water during your day! OK, I admit it! I am a skeptic when it comes to “natural” medicine and remedies. I grew up going to doctors when I was sick, taking all kinds of antibiotics and over-the-counter drugs, and generally avoiding herbal remedies and other natural cures. Then my mother began to have health problems and was prescribed many different drugs with side effects. Later, I lived overseas, and my health was compromised. 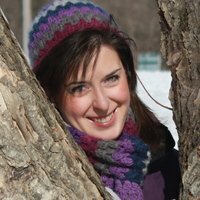 When I became pregnant with my first child, my perspective changed. I began to look into eating more healthfully and searching for ways to treat illness apart from prescription drugs. I’m still a skeptic-in-therapy, though, so when I heard about the merits of grapefruit seed extract (GSE), I listened with reserve. One of the first articles I found on the Internet disputed all the positive claims of GSE manufacturers and promoters. “Aha!” I thought. However, as I read further (including three different books about GSE), it was hard to dismiss the claims from around the world of GSE’s helpful uses. I also talked to friends who praised it and used it with their families. In 1980, Dr. Jacob Harich first noticed a unique property of grapefruit seeds: they refused to rot in his compost pile. In fact, experienced composters know it takes citrus fruits up to two years to decompose enough to make suitable compost. Why? God created the grapefruit with powerful germ-inhibiting chemicals. Dr. Harich’s interest in the grapefruit and its seeds was soon picked up by other researchers. 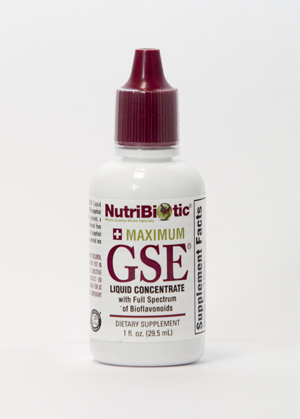 Today many promote GSE as one of nature’s most powerful broad-spectrum, non-toxic antibiotics, antimicrobials, and antifungals. Many tests have been done worldwide with GSE to see how it reacts against different types of bacteria and viruses. In these tests GSE has performed remarkably well. It even out-performed well-known disinfectants commonly used in hospitals. However, few tests have been performed in vivo, that is, on humans; most of the tests were performed in vitro, in laboratories or with animals. Grapefruit seed extract is derived from the pulp, seeds, and membranes and converted into a highly concentrated, acidic substance. (Manufacturers keep the exact process a secret.) It is then usually mixed with glycerin in differing levels of concentration. Beeyoutiful sells a high-quality, more potent version of GSE (60% GSE/40% glycerin). What are the benefits of using GSE? Unlike synthetic antibiotics (often produced from petroleum and coal tar), GSE is derived from natural sources. It is non-toxic, broad-spectrum (meaning active against a variety of germs), and has a minimal negative effect on beneficial bacteria (synthetic antibiotics kill good and bad bacteria indiscriminately). When I learned that many synthetic antibiotics were produced from petroleum and coal tar, I was anxious to learn more about grapefruit seed extract. Which would you rather give to your family?! In his book on GSE (see note below), Dr. Alan Sachs talks about ways he has successfully used grapefruit seed extract. One of the most common is to help treat patients dealing with chronic Candida Albicans yeast infections. He tells about a woman who had tried all kinds of traditional antibiotics and whose immune system was weak and no longer responding to the drugs. After a few weeks of initial tiredness (as her body cleansed itself), while continuing to use the grapefruit seed extract, she made a full recovery. He also talks of similar cases with success against parasites, cold sores, intestinal illnesses, and warts. There are other books and articles that document like successes. If you are interested in these resources, contact Beeyoutiful for more information. My Experiments with GSE. . .
As I read the various books and articles, I found a number of ways I could put GSE immediately to work. As mentioned earlier, GSE, according to Allan Sach’s book, (see note below) outperformed many commercial and common disinfectants in laboratory tests. Of course I didn’t have the means of testing it scientifically in my own home; however, I did mix up a batch of water/GSE to use to spray down and clean my kitchen and bathroom. I liked the idea that I was using a non-toxic cleanser, rather than chemicals. I also used it to wash some fruit. I didn’t notice any difference in the shelf life of the fruit that had been rinsed with GSE vs. plain water, but, again, I liked the idea that I was using something natural rather than the unnatural and unhealthy ingredients in detergent to wash them off. I gargled with GSE for a sore throat I felt coming on (which went away). My husband was also pleasantly surprised to find his sore throat, which he says “always” means he’s about to get sick, went away after gargling with GSE. I put a drop on my toothpaste as I brushed my teeth and then gargled with it afterwards. (I had read that GSE was extremely bitter, but it didn’t seem to bother me.) I also added a few drops of GSE every time I refilled our water filter pitcher. (It has a nasty habit of growing green, slimy stuff inside.) Check out the sidebars for more specific directions and other ideas I liked. I plan to test it the next time I find mold in my house. (It’s the only time I’ve been disappointed that I couldn’t find any!) I’m also mixing a few drops into juice and giving it to my husband to see if it helps him with the stomach problems he’s had since being overseas. How Else Can GSEBe Used? These are just a few ideas. There are many more available on the Internet and in books. When using “recipes” for GSE, make sure you check the concentration of the GSE in the recipe. 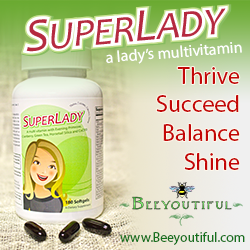 Keep in mind that Beeyoutiful sells a higher concentration GSE than many other brands. It is wise to take probiotics, such as Tummy Tuneup, or eat yogurt with active cultures if you take GSE internally for an extended period of time. Never use GSE undiluted or in the eyes; it could cause severe irritation. Remember it is acidic! It hasn’t been tested for its effects on pregnancy, so use it cautiously if you are pregnant. The Skeptic’s Conclusions . . .
As with any drug, herb, or treatment, I believe the responsibility lies with each of us individually to educate ourselves and to make our own informed healthcare decisions. Too often I tend to follow traditional medical advice without being fully aware of all the possible effects. As a skeptic-in-therapy, I’ll be performing more of my own experiments with GSE and seeing how it can best meet the needs of my family, but I have been impressed enough with the potential GSE shows to make it a part of my medicine cabinet. 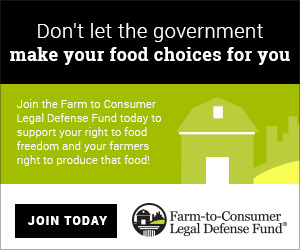 Check out the forums for others who are doing the same! ~ Summer Moeller jots from the end of a dirt road with her husband and daughter (soon to be, two daughters!) in Whitesburg, GA.
Keep fresh with Grapefruit Seed Extract and scented oils. No need to gasp for air when you're cleaning with odorless Grapefruit Seed Extract! Console your skin with cleansing Grapefruit Seed Extract. Wash out oral bacteria with naturally powerful #GrapefruitSeedExtract. Face feels like a desert? Hydrate your skin with essential oils, aloe vera, and Grapefruit Seed Extract.